The money manager behind New York's public pension fund, Comptroller Thomas DiNapoli, is leading the charge urging more action on climate change within ExxonMobil and other publicly traded companies. Why it matters: The investment community is becoming an alternative battleground between corporations as U.S. government policy on climate change retreats under President Trump. Where it stands: New York's fund and Church of England's endowment have filed a non-binding but symbolically significant resolution for consideration at Exxon's annual meeting in May, calling for the company to disclose targets drastically reducing its greenhouse gas emissions. The oil giant has asked the federal Securities and Exchange Commission, which governs the process, to throw it out. A decision is expected imminently. One level deeper: Here are edited excerpts of my recent interview with DiNapoli for my latest Harder Line column. Axios: Would you ever consider divesting your shares — about 0.25% of all outstanding Exxon shares — if the company doesn't act in the way you're calling for? "We do that rarely and not without very significant deliberation … Having a voice at the table, trying to press them to do the right thing, that in the short run I still think is a smarter strategy. Longer term, we're going to keep a close eye on how Exxon behaves in response to our calls. … I'm sure they would love us to sell our shares so we wouldn’t be at the table anymore pressing them." Axios: What's your reaction to Norway’s sovereign wealth fund — the largest in the world — divesting from some oil companies, those focused just on exploring and producing? "Some people have argued, 'look at Norway, they're pulling out of all of this.' They're not really. It's a lot more nuanced and complex than divestment advocates recognize or are willing to admit. … You can't lose sight of the fact that while we certainly want companies to do the right thing on climate change, at the end of the day we have to produce returns that support retirement benefits of 1.1 million New Yorkers." 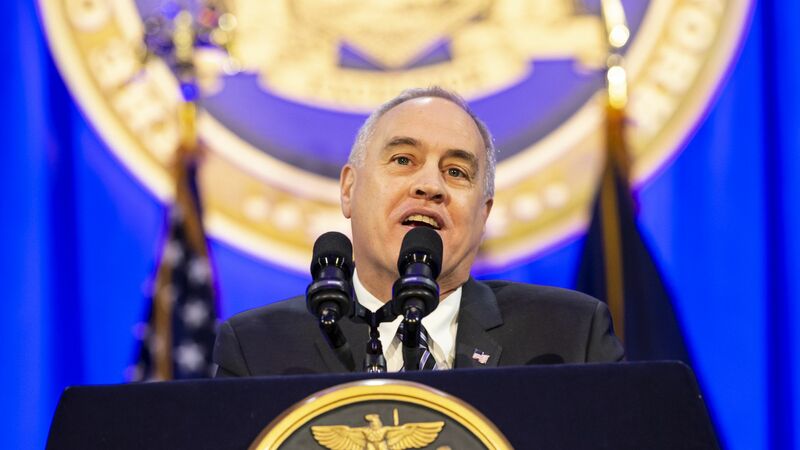 What's next: DiNapoli will receive a report from an advisory panel this month recommending ways to make the fund he manages — more than $200 billion — greener.